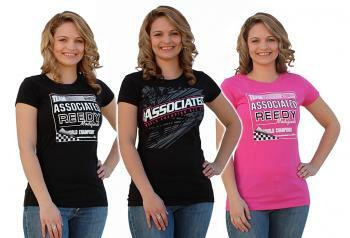 Team Associated has released some new T-Shirts and this time they are for the ladies. The pink shirt and the black retro shirt are available now. The shirt in the middle will be available later this month. The shirts will retail for $19.99. More details can be found at Team Associated.com. My wife will be happy to see this, she still misses her SC10.